For the past year AASA has been privileged to work with superintendents from around the country on our Redefining Ready campaign, an attempt to redefine what we mean by being college and career ready. School districts from around the country are supporting the effort as are many education associations like Phi Delta Kappa, The Consortium for School Networking and the National Association of Secondary School Principals. Educators are ready to move away from the notion that a single score on a standardized test should define a student’s potential. Students should be presented with many options in school that make education relevant and would better prepare the student for college, career, and life. The definition of what is a quality education and a successful career should be expanded to include the many job skills and opportunities that will lead to a fulfilling and productive future. The Redefining Ready Initiative looks at three types of indicators to determine whether students are college, career and life ready. 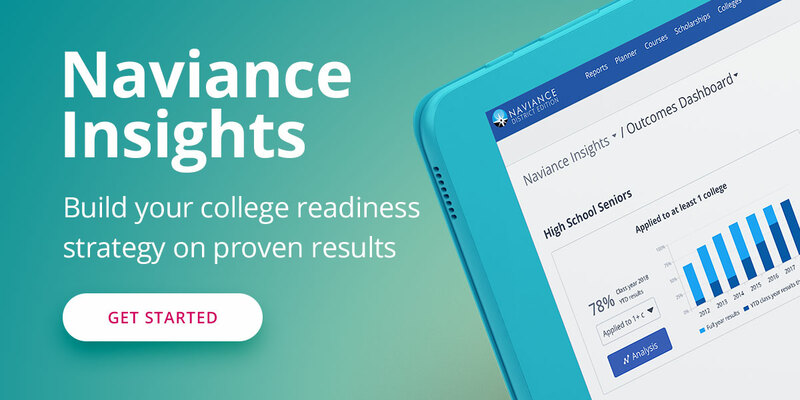 Academic indicators can include performance on Advanced Placement, Dual College credits, International Baccalaureate and other metrics such as traditional standardized tests. Career readiness can be gauged by hours of community service, workplace experience, industry credentials and other factors. Life readiness metrics are under development but align with the social-emotional measures that are now permissible under the Every Student Succeeds Act (ESSA). The “No Child Left Behind” era placed a great deal of emphasis on standardized testing and ensuring that students were making adequate yearly progress. Accountability requirements placed a great deal of pressure on teachers and administrators to ensure that students were meeting the achievement goals. In many schools, the focus on testing and accountability resulted in over-emphasizing reading and math instruction, the areas to be tested, at the expense of a richer, more comprehensive curriculum. The Obama administration introduced the goal of ensuring that students be college and career ready. Many educators interpreted this to mean that students should graduate high school and attend a four-year college. Indeed, the goal of the Obama administration was that by the year 2020 the United States would lead the world in the percentage of the population with a college degree. Just as NCLB engendered a teach-to-the-test mentality, college and career ready suggested that the goal was to get students to graduate high school and attend a four-year college. The new law (ESSA) has created an opportunity to consider a broader range of the options that are available to our students. The reality is that of the 83% of students that graduate from high school, only 44% enroll in a four-year college and of that number only 59% earn a degree. At the K-12 level we need to do a better job of exposing those students that are not college bound to a variety of career pathways. In the twentieth century, vocational education had been the pathway for many high school students who sought a skill or trade rather than a college education. Often that decision was prompted by either a lack of the funds necessary to pay for a college education, family economics that would force the students to seek work as soon as possible, or poor grades in school. Eventually, vocational programs became the “dumping grounds” for many low income and minority students. A vocational high school diploma was looked down upon and vocational programs began to disappear and be replace by career and technical academies. We could say that education threw out the baby with the bath water. As we see from the figures above, the reality is that, even today, most of our students do not go on to earn a four-year college degree. The 17% of the students who do not graduate from high school might have, had they been presented with options that were more relevant to their needs and future ambitions. The 56% of graduates who did not go to a four-year institution may have benefitted from a two-year program or a vast array of certificate bearing programs providing work experience and job skills. I have had the opportunity to travel to and visit apprenticeship programs throughout Europe. Prior to high school attendance a decision is made to allow about one third of the student population to attend the “gymnasium”, or academically oriented program. These are the students that will be on track to a university program. The other two-thirds go to apprenticeship programs where they spend about half the time in a vocational school and the other half engaged in an apprenticeship with a local business. Often the apprenticeship also offers compensation. The United States Department of Labor is very interested in bringing the apprenticeship model to America and AASA is collaborating with them and school systems around the country to bring it to our high schools. There is no question that there is a direct correlation between earnings and the level of education attained. The pathway to a four-year degree and graduate studies should always be there, but let us also make available the pathways that lead to skill development and opportunities that do not require the higher level of education and let us celebrate the plumber as we do the PhD. Want to hear more about fostering future-ready students? Download our webinar here.